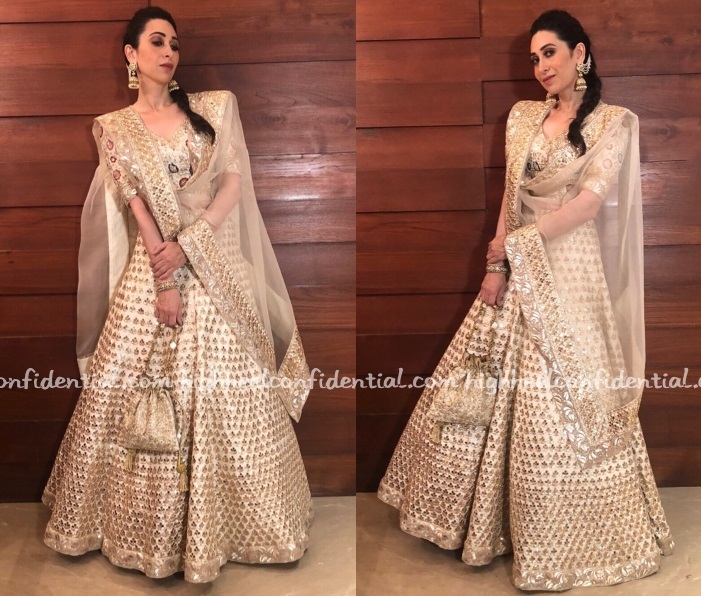 At Sonam and Anand’s Mehendi ceremony, Karisma was seen in an ivory and gold Manish Malhotra lehenga, one that she wore with jewellery from Jet Gems. The odd part is I wouldn’t have pegged this to be a Manish Malhotra. Agree 100%. 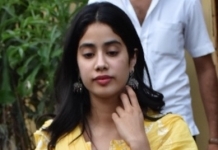 The dress is very gold in your face and not in a good way. The dress is beautiful. Her poses are horrible. OTT and how. A rare miss. She looks good. Never seen in do OTT and for a change of pace, I like this on her.